Things are heating up in Larnaka as summer hits the region in full force and brings lots of exciting things with it! Aside from enjoying the pristine coasts of the region, a number of premium sporting and cultural events make the most of the weather and the water, including the Kataklysmos and Fengaros festivals, and beach volleyball and kitesurfing tournaments. The barometer is also rising in response to our hot new campaign, which was recently unveiled, along with a revamped website where you can discover everything you need to know to have a great holiday in Larnaka. 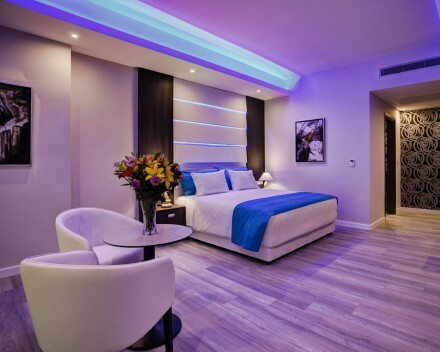 And with further accommodation available thanks to new boutique, agrotouristic and city hotels, you willbe spoilt for choice on how to spend your most sizzling summer yet! 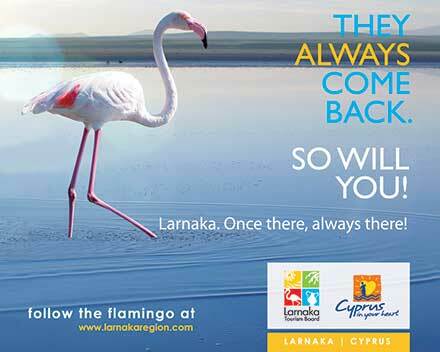 With the new season comes a hot new campaign for Larnaka tourism, and our most loyal repeat visitor – the flamingo - stars in the leading role, showing everyone why Larnaka is such a great lifetime experience destination. Introducing... Your Home Away From Home! As Larnaka’s popularity continues to rise, so do the options in accommodation within the region, from quirky boutique and city hotels to quaint, traditional lodgings in the mountainous villages. 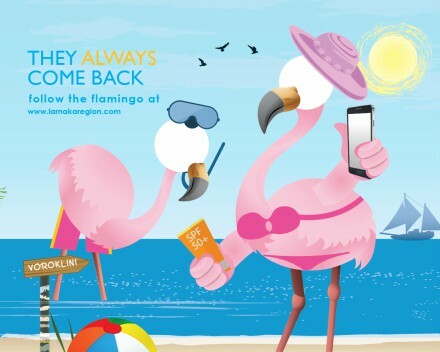 Say Cheese... in Flamingo Style! Preserve the memories of your trip to Larnaka by taking colourful holiday snaps with our flamingo friends dotted around the region... in the form of nine fun cut-outs! 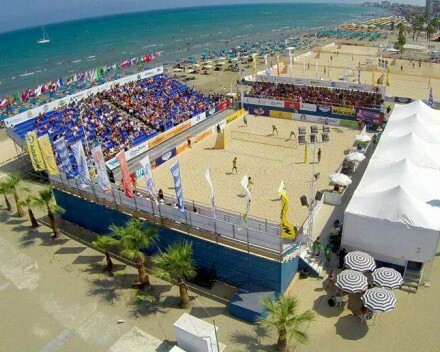 Larnaka’s sands will once again welcome a world-class beach volleyball tournament when the FIVB Beach Volleyball U19 World Championship comes to Foinikoudes beach in July. 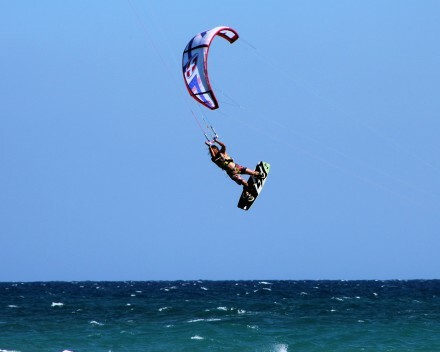 Kitesurfing fans will be thrilled to hear that the ‘Cyprus Kitesurfing Championships - King of Kite 2016’ and Kite Camp 2016 will take place this July on the Mediterranean’s best coast for the sport in Kiti. 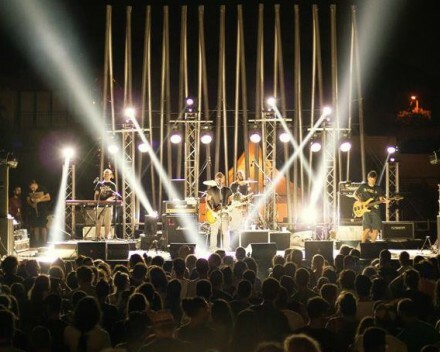 The hills of Kato Drys village will come alive with the sound of music when the Fengaros Music Village and Fengaros Music Festival return in July, bringing a big name celebrity from the international music scene with them too. 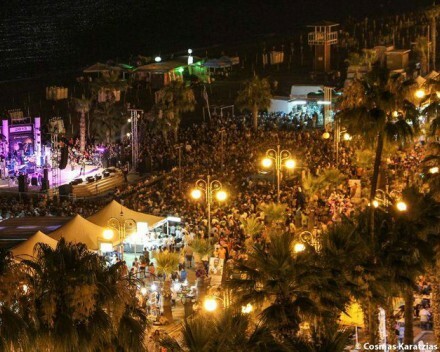 The annual Festival of the Flood (Kataklysmos) takes place on June 17-21 this year, with Larnaka holding the biggest celebration on the island along its Foinikoudes promenade.